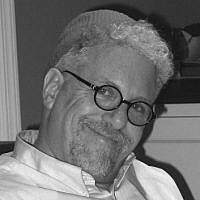 Our Rabbis taught: For two and a half years were Beth Shammai and Beth Hillel in dispute, the former asserting that it were better for man not to have been created than to have been created, and the latter maintaining that it is better for man to have been created than not to have been created. They finally took a vote and decided that it were better for man not to have been created than to have been created, but now that he has been created, let him investigate his past deeds or, as others say, let him examine his future actions. I’m not sure why I was given the aliyah to read the prayer for the State of Israel in Hebrew yesterday in shul. I am often given this task and take it without question, but yesterday it felt like a set up. I have been attacked so much lately for my beliefs and opinions about the Israeli government, that I saw myself as an easy target yesterday as I climbed the steps to the bima. Maybe that’s because they beat left wing demonstrators in the streets of Tel Aviv yesterday and the police stood by and made no arrests. When I read about this, I thought of Eli Wiesel, who said, “There may be times when we are powerless to prevent injustice, but there must never be a time when we fail to protest.” Understanding injustice, agreeing about it, these are matters of procedure. I take my cue from the Bat Kol, the heavenly voice made up by the Talmudic sages to allow them some divine authority in writing about an ethical matter. Because they were kindly and modest, they studied their own rulings and those of Beth Shammai, and were even so [humble] as to mention the actions of Beth Shammai before theirs. I try to follow the school of Hillel. One of my doctoral advisors, Bill Ayers, taught me that great writing is full of vulnerability. “Don’t hide your frailties. Flaunt them. People will trust you more if they see you argue with yourself.” The Gemara in Eruvin continues to teach what I learned from Professor Ayers. He who humbles himself, the Holy One, blessed be He, raises up, and him who exalts himself, the Holy One, blessed be He, humbles; from him who seeks greatness, greatness flees, but him who flees from greatness, greatness follows. Recently, I posted an article on Facebook by Professor Rashid Khalili about the current fighting in Gaza resulting from the abduction and murder of three Israeli teens and the subsequent burning to death of a Palestinian sixteen year old. His article was one of my presentations of the other side, just like Hillel taught his students to present the arguments of Shammai’s students first. Here is how my post was received. David, before you make the claim for the poor & peace loving Palestinians being terrorized by the evil Jews, remind me… Is it the Israelis who make the educational curriculum of their kindergartners and 1st graders to hate and destroy the Arabs? Is it Israeli families who encourage their kids to strap up with a belt of explosives and die while taking out as many Jews with them? Is it those same Israeli families who celebrate the death of their kids rather than mourn their loss? Is it Israel’s charter which places priority on the distraction of the Arab nations and their people? Hamas is a terror organization. They do not wear uniforms. Every Hamas death is reported as a civilian casualty. Hamas operates within the dense area of the Gaza Strip as a tactic of civilian human shield. They have no value placed on human life. Not mine, not yours, not even their own people. This article and your support of it is simply shameful for all of us at this time needing to support our families & friends in Israel. Returning to Eruvin 13b for a moment, the Bat Kol asks, “‘Did it not so happen that the elders of Beth Shammai and the elders of Beth Hillel went on a visit to… (check the facts of their argument)?” Why did the rabbis tell us this? I can only guess that they wanted to leave us with the example that good law and good decisions are made from good facts. My Facebook friend eluded to the Palestinian curriculum, which he knows little about. While writing my dissertation, I visited colleagues in Ramallah and learned about the Palestinian curriculum first hand. It is the result of the Oslo Accords. The Palestinian Authority agreed to write one grade of new curricula every year until they completed the new, public school curriculum. The curriculum that was filled with vitriol against Jews and Israelis, which came from Egypt and Jordan, has been dismissed. I saw that curriculum too when I met with the former educational director of my Israeli high school, the Kfar Hayarok. When he left my school, he became the Israeli military governor’s highest education authority in Gaza and worked with all the public schools. He documented the previous curriculum and, as part of his job, protested its use. This was 1986. There was no Palestinian Authority, and no address to bring his concerns. The PA took care of this. They wrote a curriculum that seems reasonable. Israel still wants to paint them black and say it’s not. That’s why many Jews protest that their curriculum sees the 14th of May, 1948 as a Naqba, a catastrophe. They want them to see it as Independence Day. It’s not independence for Palestinians.